It’s at this time of year that my thoughts start to turn to the neglected view out of my window. I love gardens, but I’m not the greatest of gardeners; I lack the required patience. I want instant results and I don’t like doing battle with slugs!! That said, I do like to while away a spring Sunday preparing beds and and planning . We have a large garden and we don’t manage it very well. My mother in law was a brilliant gardener and always had good ideas for ours. Since she died we haven’t really moved forward with it. 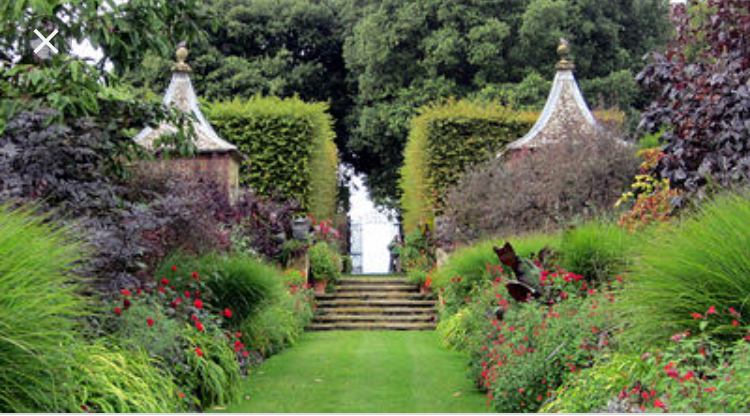 I know what I want which is Hidcote Gardens on a smaller scale! I might have to reign in my ambitions for now! 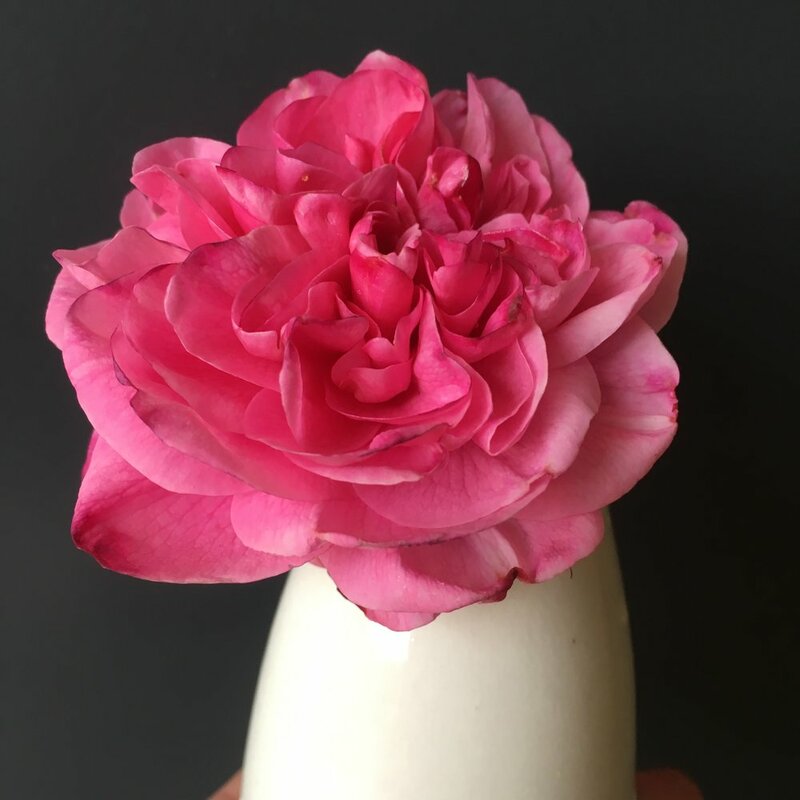 I love having cut flowers in the house, and while there’s something wonderful about an enormous bouquet of freshly picked blooms, I’m equally pleased with a single stem in a little vessel sitting above the sink or on the dining table. I often pick up old teacups, glasses and tiny cases in the charity shop for precisely this purpose. 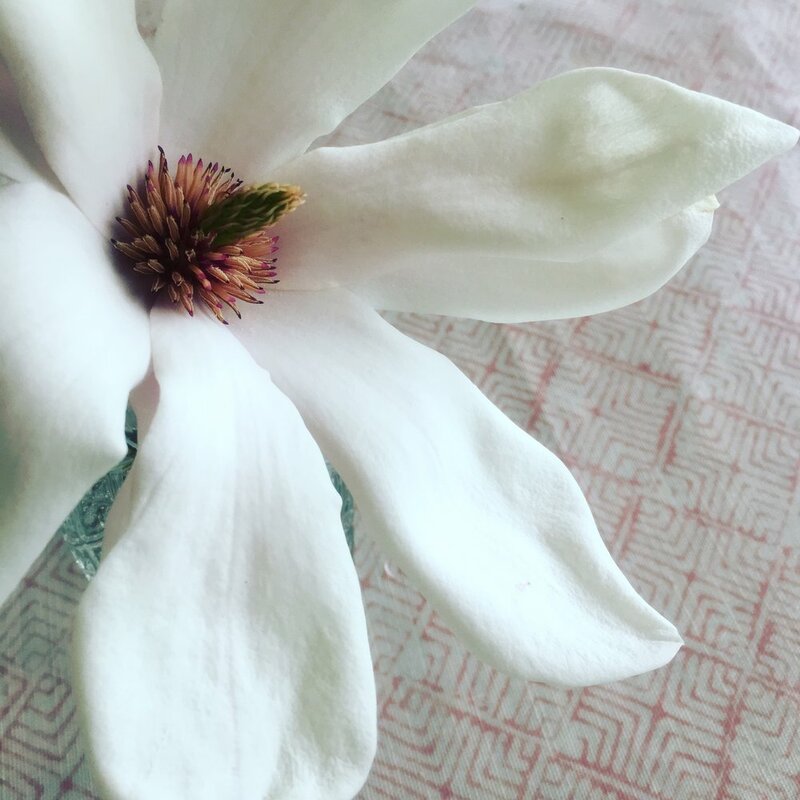 it’s amazing how just a single sprig of blossom or twig of magnolia or a single rose can bring such joy . Peonies must be one of the easiest things to grow; they don’t seem to require any intervention - well they certainly don’t get any in my garden! Even though their season is short they are the gift that keeps on giving. A big jar of peonies makes me smile every time I look at it. David Austin roses are a must in my garden. 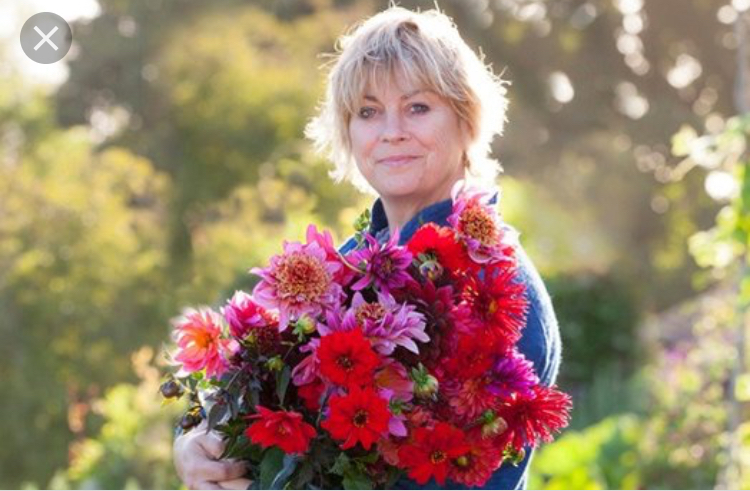 We have about ten bushes; mainly the heavenly scented Gertrude Jekyll, the beautiful moss rose, William Lobb and the very delicate, Mortimer Sackler . Gertrude Jekyll is fabulous for cutting, and William Lobb changes from a vivid deep pink to a papery purple over time. I don’t think you can go wrong with seeking inspiration from the wonderful Sarah Raven. She is my first port of call for seeds, small plants and veg. Her beautiful catalogues are a riot of colour. So, this year i’m not going to be ridiculously over ambitious, and do a few things well. 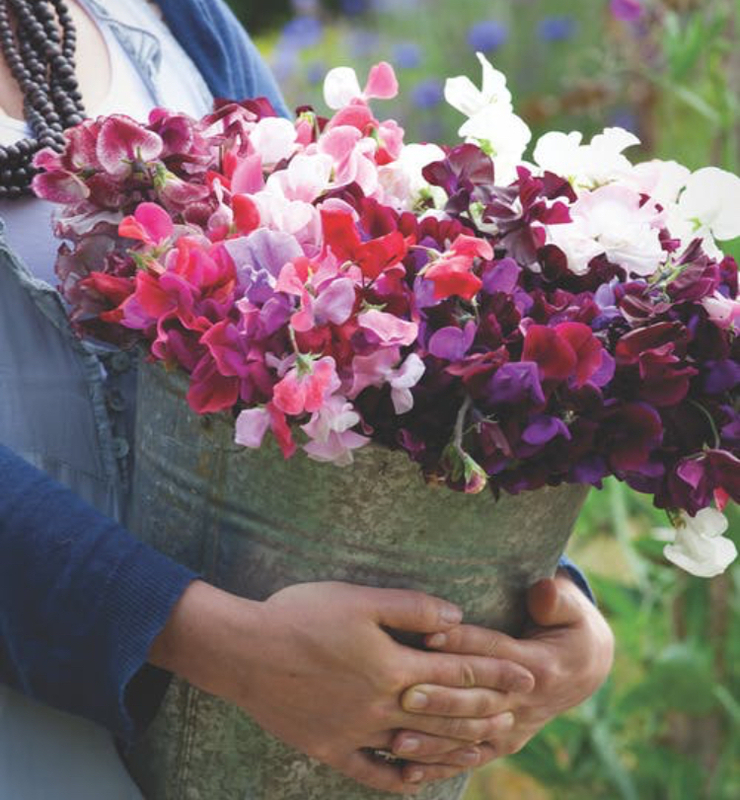 I’m planning a smallish cutting patch in one of our old veggie beds, with beautiful scented sweet peas, zinnias and dahlias -all of which suffer from a munching from the slugs. I might grow these in some big zinc washtubs on the terrace and plant lots of bright cosmos in the cutting bed. For veg this year i’m sticking to salad leaves, tomatoes, (my favourites are Sun Gold, Black Cherry, Tigerella, Yellow Pear and Gardeners Delight), baby cucumbers and red Russian kale. All of them are easy to grow and don’t require masses of maintenance. I grow my tomatoes and baby cucumbers in the greenhouse in these very handy collars which make watering super easy. Photo credits: Sarah Hardaker (unless marked up otherwise).